We are about halfway through 2017, and that new year shine is wearing off. This is a good time to check up on the changes you made back in January. Looking at your progress helps you keep it going, and that goes for diets, habits and even your investments. Looking too closely at your portfolio might do more harm than good. 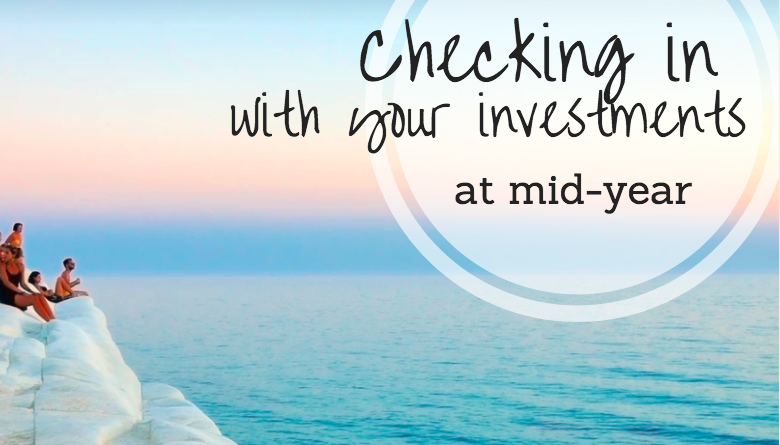 Checking in with your investments is just that: a quick overview to make sure things are on track. Look for any big changes or red flags. For example, if you’re checking your funds against peer rankings, you really just want to keep an eye out for sudden drops. It is very unlikely that all of your investments are going to be performing fantastically (especially if you have diversified well.) The main goal here is to only look into major drops or outliers. Getting too detailed could result in rash decisions that cost you down the line. For most people, rebalancing once a year is about right. If you rebalanced your portfolio back in January, you probably don’t need to do it again now. But if you prefer rebalancing in the summer or your assets are more than 5% off where you want them to be, it might be time to redo your allocations. Keep in mind that rebalancing usually involves fees and tax expenses, so you want to be strategic about how and when you do it. Try adjusting your contributions to under-represented areas to avoid fees. Your ideal blend of stocks and bonds is going to change with your life stage and major economic disturbances, so it also pays to be flexible. Know that you can obsess about your portfolio too much. It’s easy to do. Thanks to cell phones, WiFi and investment apps, that information is readily available in a second. Frequently checking up on your investments can lead to knee-jerk reactions that cost you in the long run. The stock market fluctuates constantly, and that will be reflected day-to-day in your investments. But your portfolio is a long-term game. You risk becoming way too conservative in your investments if you focus on (and react to) the daily changes. Absolutely check up on your portfolio annually to make sure you’re on track, but limit yourself beyond that. It’ll boost your investments while cutting down on unnecessary stress.